A very large fifteen-light polished pewter chandelier suspended from a circular ceiling rose with a hook and chain suspension. The central stem has a spun rope design, with three tiers of long curving arms and each lamp holder has additional spun rope detail. 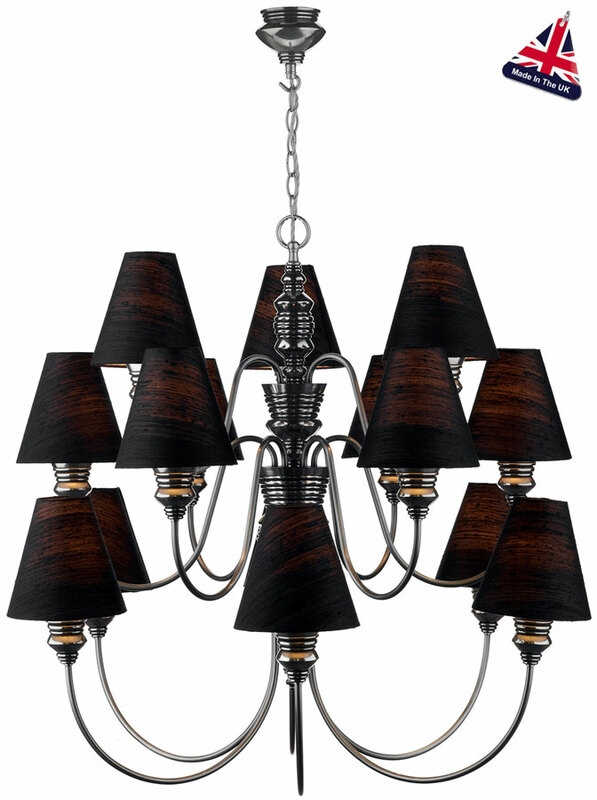 This magnificent light fitting is supplied with 100% silk tapered shades, available in twelve various colours. Please see the secondary image for more details and please state your chosen colour in the special comments box at checkout. 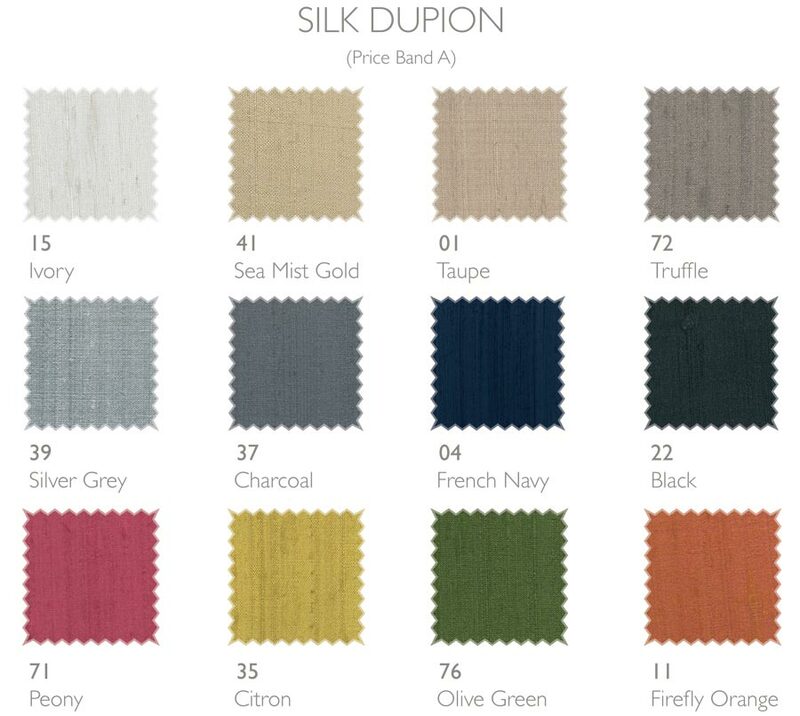 Fabric swatches available on request. Other products in the pewter David Hunt Lighting Doreen range can be viewed below and include a smaller nine light chandelier, a five light pendant and a matching twin wall light. Handmade in the U.K. to the highest standards. Please allow 2 – 4 weeks for delivery of your order.